Do Team Incentives Really Motivate? Some people love a good challenge; some will stop at nothing to win, win, win! You could offer a free glass of iced tea to the consultant who sells the most this month and you would likely have someone determined to come out on top! But do team incentives really inspire people? Or are they “˜nice’ but don’t really have much direct affect on results? Or”¦ are they sometimes viewed as de-motivators? I’ll use my company as an example, but the same could hold true for any direct sales business. I could offer a $25 gift certificate to our marketing collateral company, which sells nifty logo items and sales aids, for the top team member who had the highest retail sales for the month. 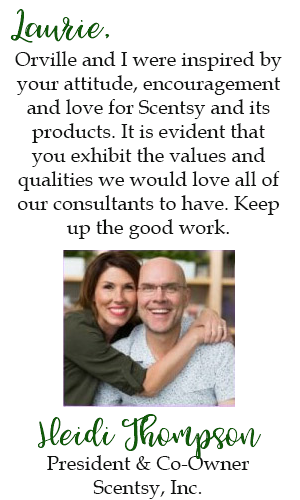 Perhaps I’d offer consolation prizes to the 2nd and 3rd place top sellers – maybe something from our own product line, candle bars or room sprays. I could do the same for the top recruiters for the month too. Then at the start of the following month I could post a team newsletter and announce the WINNERS! Woo-hoo! See your name in lights. The winners would obviously be delighted. But would they have performed well regardless of trinkets offered? Probably. Would my offer of a $25 gift certificate really make someone hustle and sell $3200 in wax last month? Or would she likely have done that anyway, perhaps for the actual commissions she earns? Not all team members are in business to earn a full time income (although that is very possible and achievable if that is the intent). So what about the mom who works a full time job outside the home, is very busy with her children’s extra curricular activities and is “just trying to earn a little extra money” for the family? She may only choose to or have time to do one party a month. She’ll never be on the list of the Top 3, yet she works as hard trying to keep her head above water. 1. How do you feel about team incentives? 4. What $ value would be acceptable? We can all agree that warm and fuzzy is nice. But does it really drive behavior? Your thoughts? 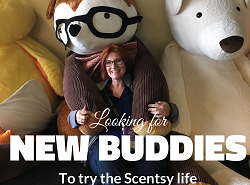 Can You Earn Any Money Without Scentsy Parties?